The Millennials are the current and future commuters of the transportation market. They are constantly driven by technology and yearn for instant accessibility and ease of use. And with taxi-hailing businesses offering just that, local taxi operators are on the brink of defeat. Players like Uber and Ola have influenced existing local taxi drivers with attractive employment opportunities and interest-based business models. The survivors have only one choice left – to embrace the new technology. Road congestion and heavy traffic have plagued the transportation environment and taxi-hailing businesses are leveraging technological advancements to open up new opportunities for servicing its commuters. Where Uber is planning to launch their line of flying cars soon, Airbus has successfully completed a full-scale test of its first flying taxis, “CityAirbus”, and have announced its operation in this year. Soon, these battery-powered air vehicles with a capacity to carry four passengers will travel across cities to connect commuters to airports, train stations and more. Currently manned by a pilot, these air taxis will be fully-automated within a few years. While it may take a few more years for self-driving cars to take over the transportation scene, 2018 will, in fact, bear witness to the beginning of the future. Though fully-automated cars are yet to be deployed on-road, the plan is set to release vehicles that will operate without the intervention of a human being. Only time will tell how the taxi industry will be affected by these AI-driven cars and how taxi-hailing businesses will respond to such disruption. 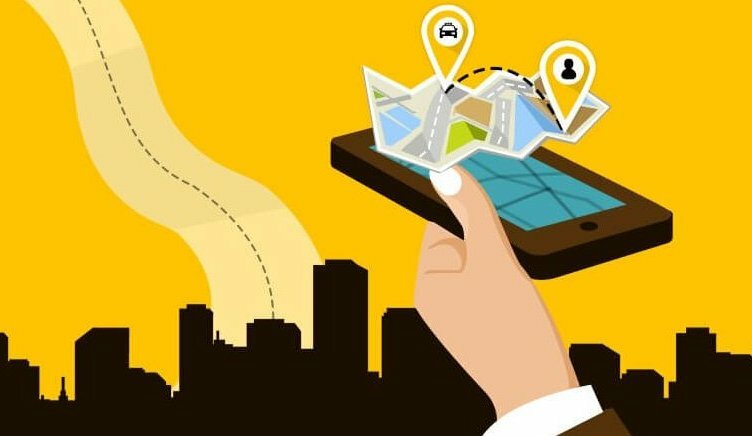 Looking ahead to 2018, the taxi industry will continue to see the dominance of taxi-hailing businesses and will showcase glimpses of the future of transportation.